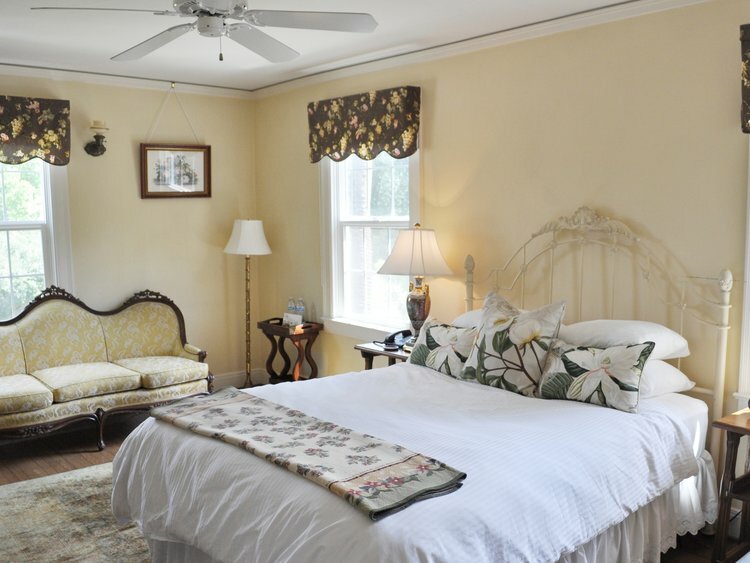 Also known as Anna's Room by the home's original owners, Mr. & Mrs. C. Ray Robinson, this corner room features a queen size bed, large walk-in closet and plenty of sunlight. 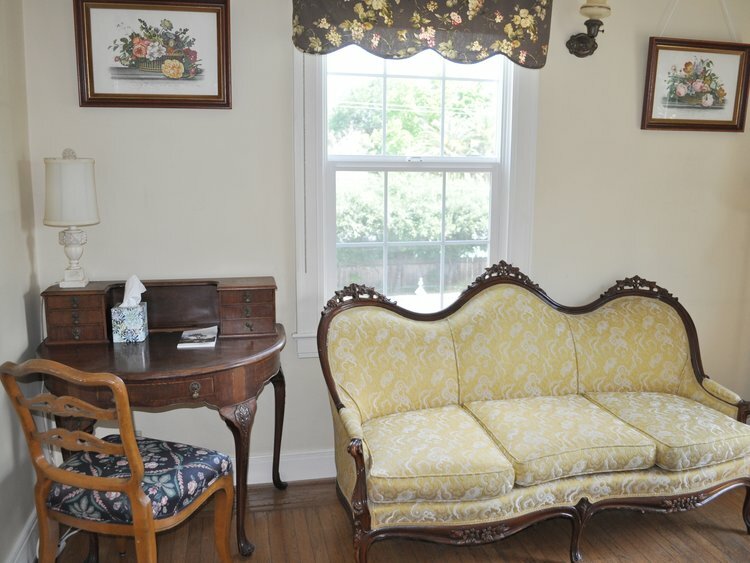 This comfortable room overlooks the front garden and offers a private bath that maintains its original charm with tile floors, porcelain sink and large bathtub. Double Occupancy rate: $169.00.